It’s official – mothers who have given birth at Ormskirk hospital have voted it to be one of the best places for midwifery care across the country. In an NHS watchdog report, Mum’s have officially ranked ‘Maternity Services’ at the Wigan Road site the 11th best in England. Ormskirk hospital outscored more than 50 other Trusts across the country. More than 100 mothers completed the detailed questionnaire and gave feedback on health and care, including: the quality of care given throughout the antenatal, labour, birth and post-natal stages. One Mother of two, Louise Flavell, from Skelmersdale, is one recent example of an overjoyed mum when in mid-November she had her baby Ava-Marie at the Ormskirk unit in her 34th week of pregnancy. Ava-Marie arrived early thanks to the maternity detecting a condition called ‘Small for Gestational Age’ (SGA) and weighed just 3lbs 1oz/ 1.39Kg. 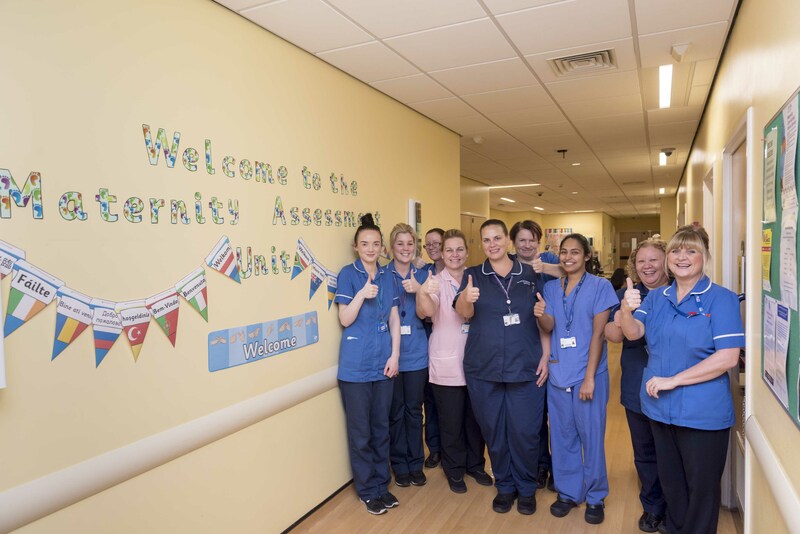 Areas the maternity unit scored well on include: high levels support and guidance, good advice, high levels of respect and dignity as well as excellent care given throughout their. Fathers are now able to become more involved in their partner’s care. Lynne Eastham, Head of Midwifery, said: “Following the survey and our 2016 Care Quality Commission report, we focused on further improving our culture and approach to care and safety. We always ensure staff work better together so that the parent, baby and their family’s experience can be the best possible – we want them to feel as though they are receiving a high quality service throughout their care with us.